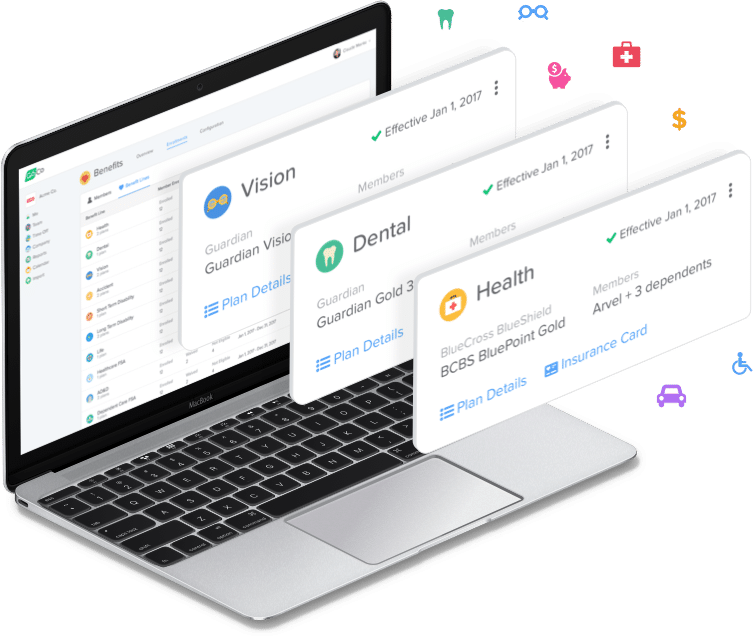 GoCo was designed for you and your team! From hiring to onboarding, to requesting time off and managing benefits. 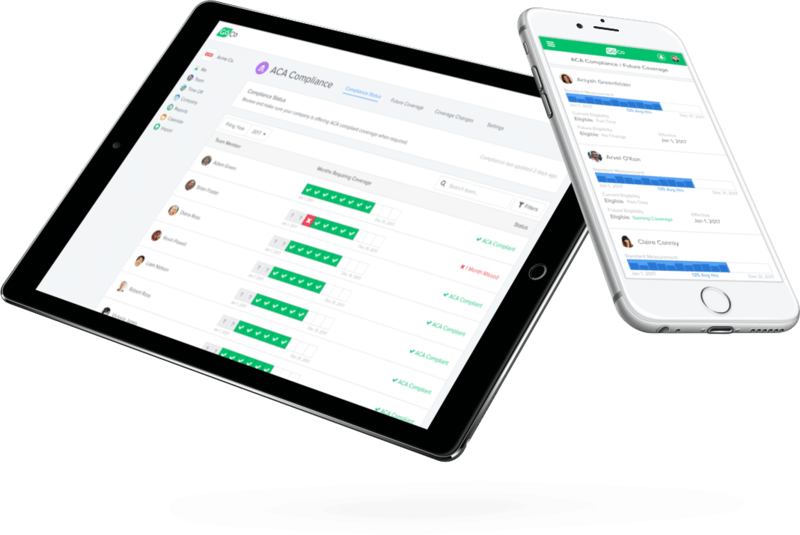 Every aspect of GoCo was designed to save you and your team time so your business can get back to what it does best. 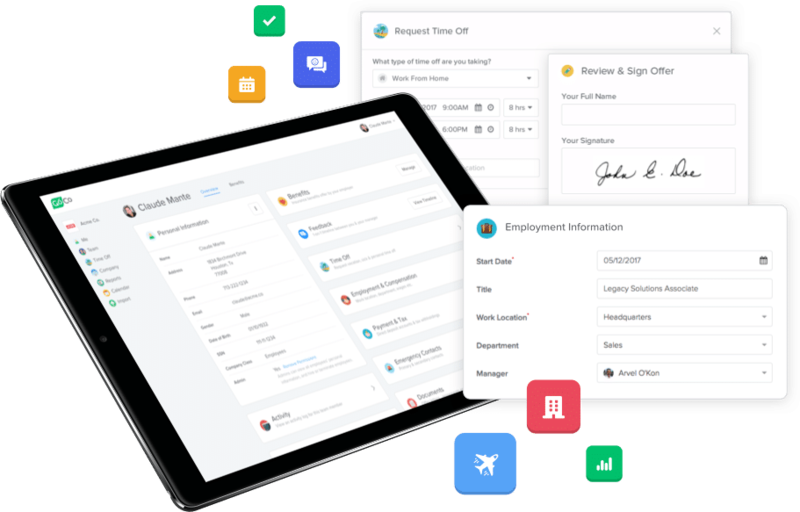 Simplify your HR by bringing employee records, time off, documents and everything else into one place. Upgrade your company benefits with industry-leading technology and a dedicated network of Certified Advisors. 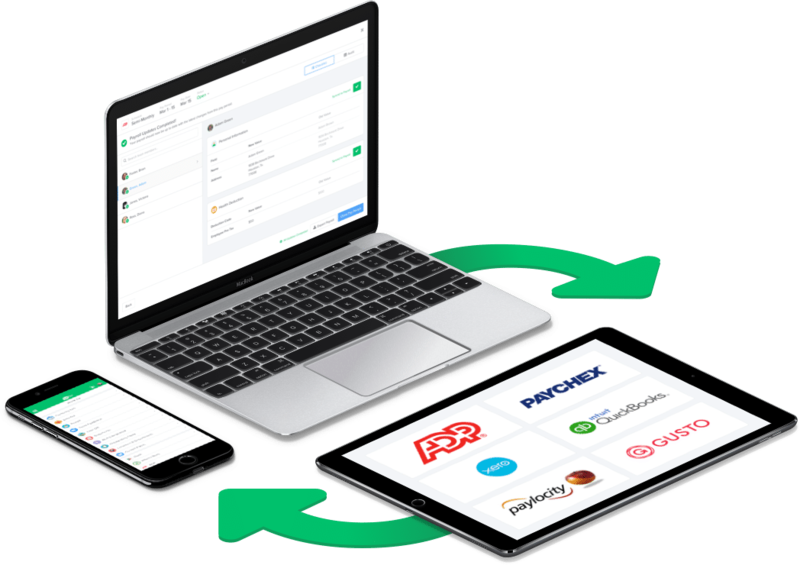 With GoCo, there’s no switching to a whole new service. 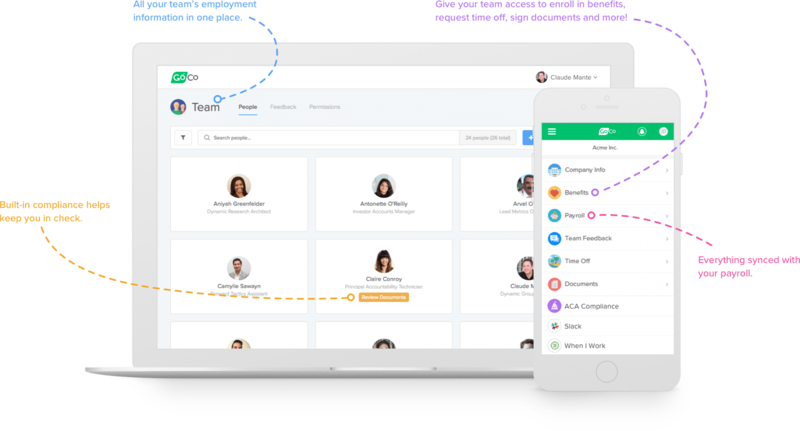 All your team’s employment information and benefit deductions are synced with your existing payroll! Enjoy the peace of mind of centralized recordkeeping. With GoCo we digital store and organize all essential documents and information for your entire team. Benefits and payroll – accurate, compliant, and stress-free.